You have never heard of Falcon Optics? Well, neither had we until the name, and a link popped up on the forums. Falcon Optics discovered the small discussion about their tactical scope and then contacted us to introduce themselves and tell a little about their scope. The reason we had not heard of them is because they are a U.K. based company and do not currently have many of their scopes in the USA, but they are looking to change that, and that was one of the reasons they contacted us. 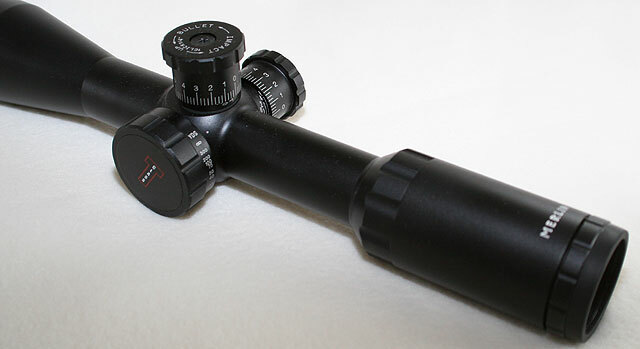 Arrangements were made and we received one of these scopes for review. 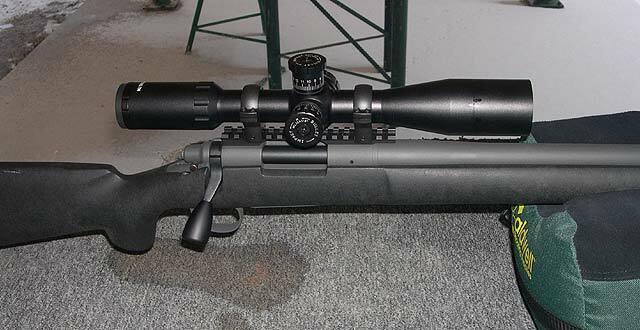 Falcon optics makes other rifle scopes as well, but of course, we are interested in the tactical model here. When the scope showed up, I took notice of the very nice packaging and box that the scope comes in. A nice large box with plenty of room and nicely organized and packaged, something not entirely important, but unusual for most scopes, and it does present a nice first impression. The scope comes with a small lens cloth, instructions, screw on lens caps (front & rear) and two (3″ & 1.75″) stack-able sunshades, which is a nice addition. The scope has a built in 50mm sunshade (the front lens is 50mm back from the front of the bell) and with the two additional sunshades, you can have a sunshade for just about any situation. The instructions are specific for the tactical line of scopes, and have some basic information about the scope, maintenance, reticule, knobs and some other stuff, but it is pretty basic. There are no instructions or guides on how to use milradian reticules, so one would need to be informed in those regards. The scope tube itself seems well made with a nice even matte anodized finish. The one piece aluminum tube is nicely shaped and there is a fairly large fast focus adjustable eye piece (diopter adjustment). I did notice some movement in the eyepiece if it was adjusted toward its max extension and was at the end of its threads. I noticed no effect from this movement and I was assured from the factory that it is pinned and double o-ring sealed and would be no problem. The eye piece has a nice rubber ring in case you get a little too friendly with the scope and it gives you a kiss when firing. The lenses are sourced from Japan and are made to a specified Falcon standard. The tube and the majority of the assembly are sourced from China and final assembly and quality control happen at Falcon Optics in the United Kingdom. It is a lot of hands to go through for the final product, but with QC checks at each step of the way, it appears that a solid final product is achieved. The knobs are similar in design to the Leupold M1 knobs which have become fairly popular, and for good reason, it is a very nice design and are nice to use. The tall and large knobs are easy to grip with gloves and there are good audible clicks but unfortunately the tactile feel is mushy without a positive detente for each click. The numbers and markings are clear and easy to read, though an Up direction and Right direction indicator arrow viewable from behind the scope would be nice, instead of having to look at the top of the knob for a reminder. Yes, most scopes move in the same direction, and you quickly have it memorized, and the numbers counting up provide an indication, but a little reminder can go a long way in stressful situations. The knobs are 1/4 MOA per click and there are 60 clicks, or 15 MOA, of adjustment per revolution. There are horizontal and vertical lines to indicate the number of revolutions from the bottom or left for both the elevation and windage knobs. There is a total of 110 MOA of vertical adjustment which makes 100-1000 yard shooting no problem for the .308 even without a 20 MOA base. The knobs are held on by one screw through the top as is common for this type of design, though I wish it were an Allen head screw instead of a Phillips. The internal gears are steel on steel which is preferred for long life and repeatable precision. Brass or nylon, as found on some lower end scopes, wear out and get sloppy over time. The side focus, or parallax adjustment, is of the large wheel design. I prefer a knob that matches the size and style of the elevation and windage knobs, but this one is not too large and has a nice smooth adjustment movement through-out the range. It is marked from 10 yards to infinity and works as designed and intended with just minor breakout forces required to get the wheel moving. The reticule is called the MP20 by Falcon and is based on Milradian measurements. There are large hashes that represent whole milradians and smaller hashes that represent the half milradians. There are five milradians to the left and right of the vertical stadia making a total of ten horizontal mils, and there are five above and ten below making a total of fifteen vertical mils. For those of you that prefer to just use hold offs, you will be grateful for the ten mils below the horizontal stadia, as this will allow hold offs for most cartridges out to 1000 meters. The reticule design is similar to the IOR MP8 reticule and I tend to like it. The hash marks are large enough that they could be used for accurate measurement for range finding, but unfortunately there is no documentation showing exact measurements of the hashes in order to use them. The reticule at times can be a little busy around the center portion, but it is easy to adjust to. Each lens is fully multi coated and optical performance appears to be good with a bright and clear picture even in dusk/dawn conditions. I compared it side by side with a number of other scopes from Leupold, S&B, SWFA SS, Burris, Mueller, Barska and it appears to be similar in quality with the leupold VX2 and Burris Fullfield line of optics. It is very difficult to compare optics in the modern era, but perhaps it is just best to say I could not find any obvious flaws in the optics that would show me inferior quality. At the range the scope performed very well with easy focusing on the various targets at different ranges. The adjustments were also easy to use and read, and they were precise in all the shooting exercises we performed. Shooting the box showed excellent repeatable adjustments and I could not find any real fault with the scope. It is a decent offering for a tactical scope in this price range. The tactical scope field in the $300 range has a new offering, at least in Europe for now. 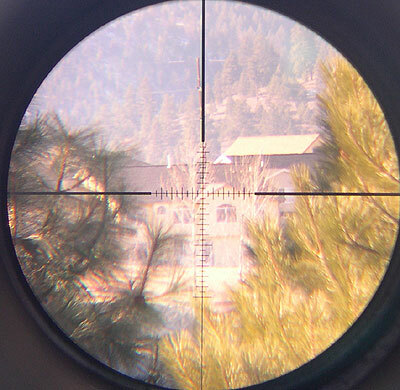 The most obvious natural competitor to this scope is the good SWFA Super Sniper scopes. 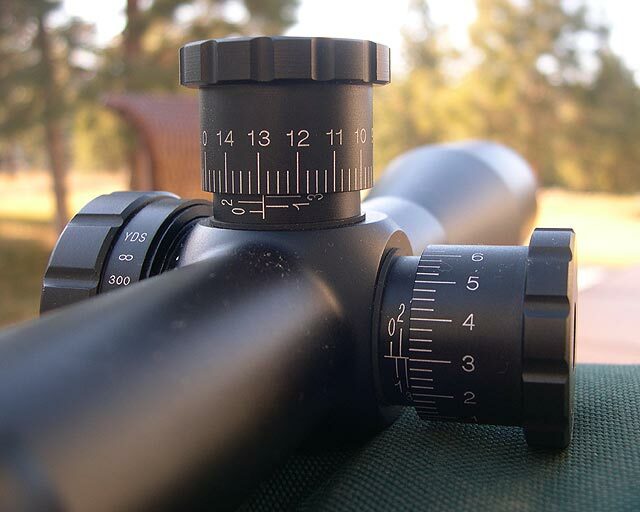 These Merlin 10x42T scopes are comparable though the SWFA has a longer track record and better clicks. The MP20 reticule and extra sunshades as well as the side focus as standard provides some distinguishing features that set it apart.